Many of your prospective clients and partners have teams that work in the field or in tough, industrial environments. Over the years, we’ve come to understand the challenges they face with technology acquisitions. The average consumer device is just a bit too fragile and isn’t built for the factory floor worker or lineman’s needs. Nevertheless, their jobs demand an increasing level of technological access. Without it, organizations will find themselves at a competitive disadvantage in today’s mobile economy. So what are the best technology options today for workers and firms operating in tough, accident-prone environments? Many businesses are still leveraging legacy technology, such as two-way radios for communications or proprietary barcode scanners for inventory management. Others have opted to leverage consumer tablets with a ruggedized case to provide greater durability. 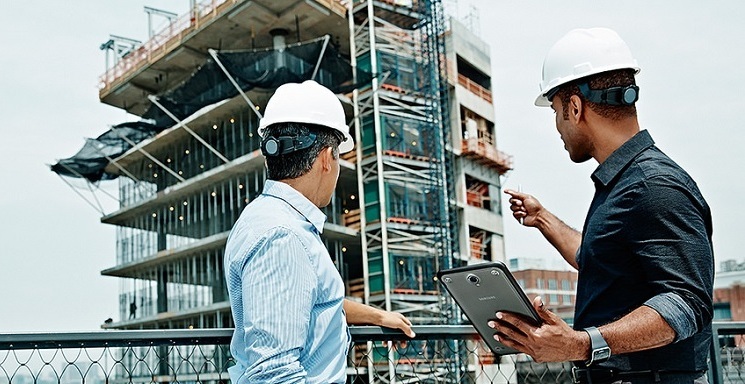 But, in our view, the best option for many organizations is a rugged tablet that’s purpose-built to stand up to the challenges of virtually any environment. The Samsung Galaxy Tab Active2 provides you with an ideal solution for customers in these challenging industries. Its military-grade design can withstand harsh conditions, including drops, altitude, temperature fluctuations, immersion, salt, fog and blowing dust. MIL-STD-810G testing and IP68 certification attest to the durability of the device. With this rugged tablet, workers can go about their business fearlessly. Replaceable battery: The long-lasting battery keeps your team connected up to 11 hours, but when that’s not enough it can be replaced with a spare to stay powered on. Pogo compatible: A heavy-duty Pogo Pin connector provides rock-solid dependability to quickly connect and charge. The Galaxy Tab Active2 also includes all the core features you’d expect from our Galaxy line, including a WXGA display, and high-resolution cameras front and back. It also offers biometric authentication options like fingerprint scanning for greater security and facial recognition for a convenient, unlock-with-a-look experience. Plus, it’s fully equipped for augmented reality (AR) application, offering future possibilities like visualizing finished blueprints, construction sites and schematics as those applications become available. 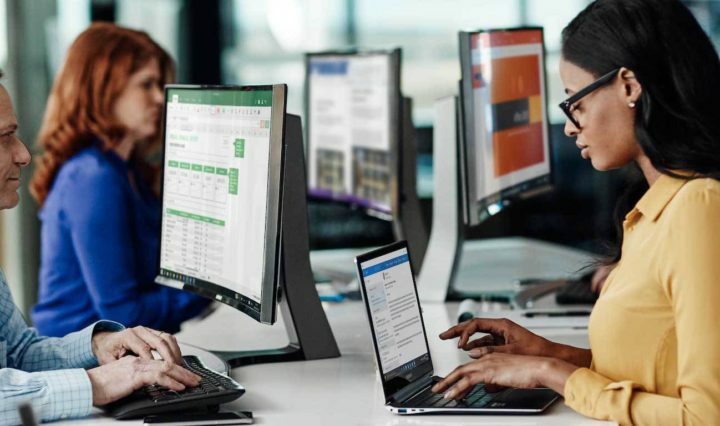 With the launch of the Tab Active2, we’ve worked closely with leading software solution providers to create turnkey solutions that address specific industry needs. Here a few examples of highly successful partnerships that leverage the capabilities of the Tab Active2 to create compelling offerings for their respective markets. Knox Configure lets you and your clients customize a wide range of settings and preload applications, so that devices can be tailored to their intended use case, whether it’s barcode scanning, asset management or telematics. And, of course, the Knox platform integrates closely with the industry’s leading EMM solutions, so that your customers can manage device policies across the workforce to mitigate security risks. Businesses can also opt for Samsung’s own Knox Manage EMM, with features like whitelisting and blocklisting apps and websites, and remotely wiping lost or stolen devices. Digital transformation is challenging for any enterprise, and when you throw in environmental conditions that are hostile to electronic devices, it’s doubly so. The Samsung Galaxy Tab Active2 provides the software capabilities and accessory options necessary to fulfill those needs — putting you in the unique position to deliver the entire solution to your clients, so they can go fearlessly and work seamlessly.